On December 31, 1966 the Atlanta Braves traded Ed Mathews to the Houston Astros for pitcher Bob Bruce and outfielder Dave Nicholson. This is easily the worst trade the Braves ever made and, in my opinion, the worst trade in baseball history. Admittedly, Mathews was on the downhill side of a great career that would take him to the Hall of Fame. In 1966, the Braves’ first season in Atlanta, he hit just .250 with 16 home runs. 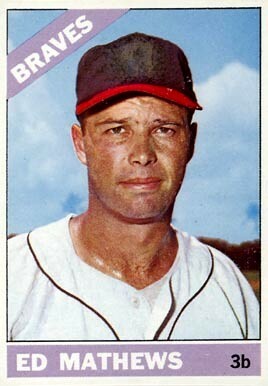 Manager, Bobby Bragan, had begun platooning Mathews, sitting him down against left-handed pitching. But things got better for Mathews when the Braves fired Bragan on Aug. 9 and replaced him with Billy Hitchcock, who vowed to play Mathews against all pitchers. Mathews responded by homering off Sandy Koufax in the bottom of the ninth to win Hitchcock’s debut game. After Hitchcock took over, Mathews hit .300 and clubbed nine of his 16 homers. Mathews’ play sparked the Braves to a 33-18 record under Hitchcock and gave Braves fans hope for the 1967 season. At the end of the 1966 season, Mathews had 493 home runs, which left him tied with Lou Gehrig for seventh place in career home runs; only Babe Ruth, Willie Mays, Jimmie Foxx, Ted Williams, Mel Ott, and Mickey Mantle had more homers than Mathews. At that time, Mantle had 496 home runs and, like Mathews, his skills had deteriorated. Can you imagine the reaction in New York if the Yankees had traded Mantle at that point in his career? 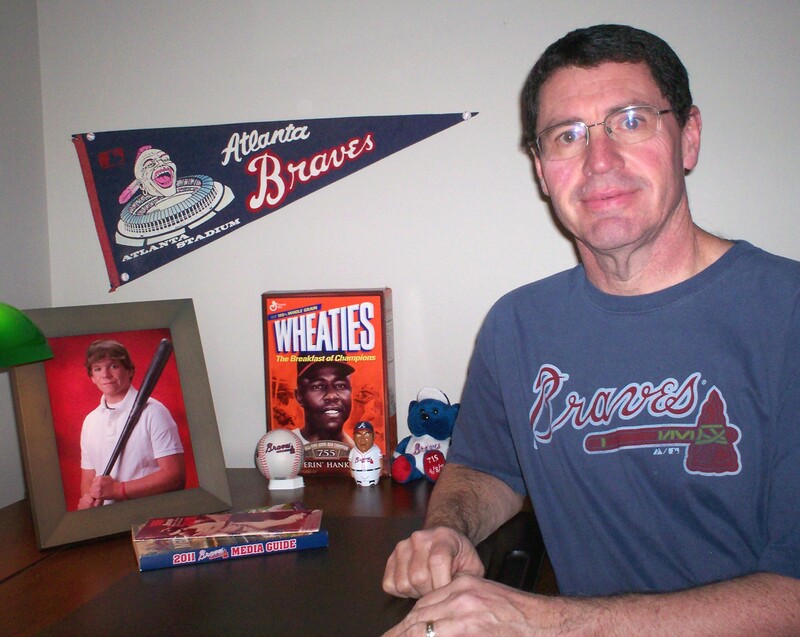 The Braves should have let Mathews hit his 500th career home run in an Atlanta uniform. After all, he was the only Brave to play for the team in Boston, Milwaukee, and Atlanta. It’s not like the Braves got a great deal of talent in return for their team captain. Bruce was two years removed from his only good major league season. His career record at the time of the trade was 47-68. He won 15 games in 1964, but went 9-18 in 1965 and 3-13 in 1966. 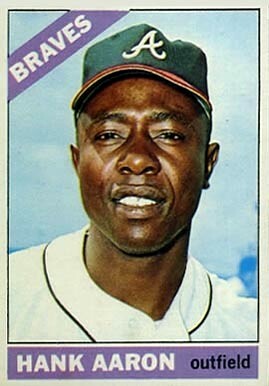 Bruce got into only 12 games for the Braves in 1967 and went 2-3 with a 4.89 E.R.A. in what turned out to be his final big league season. Nicholson, the outfielder acquired in the trade, went 5-25 with nine strikeouts in 1967 and, like Bruce, was out of baseball for good at the end of the season. On Opening Day of the 1967 season, Mathews singled, tripled, drove in a run, and scored a run to lead the Astros to a win over the Braves in the Astrodome. On July 14 of that year, Mathews became seventh player to reach the 500-home run plateau when he homered off Juan Marichal at Candlestick Park. After hitting 10 homers for Houston, the Astros sent Mathews to the Detroit Tigers for the pennant drive and he hit six more home runs. The Tigers fell short that year but Mathews finished his career with Detroit in 1968 and appeared in the World Series. When Mathews hung up his cleats, he was sixth on the all-time home run list with 512. Red Sox fans have never gotten over losing Babe Ruth to the Yankees. Cubs fans believe that trading Lou Brock to St. Louis for Ernie Broglio was the worst trade in baseball history. Cincinnati fans will argue that trading Frank Robinson to Baltimore for Milt Pappas was the worst deal ever. But I think the Braves trading Ed Mathews while he was on the threshold of such a monumental achievement is not only the worst trade in baseball history, but it’s also the most shameful.